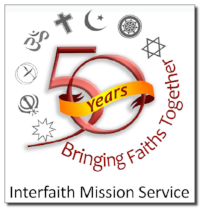 The congregations that form the Interfaith Mission Service (IMS) extend their heart-felt condolences to our local Jewish community, and beyond. We stand with you in solidarity as we condemn all acts of hatred and violence, especially the rampage against the innocent worshipers at the Tree of Life Synagogue, the deadliest attack on Jews in American history. We join our Jewish brothers and sisters in their grief. At the formation of IMS, nearly half a century ago, Rabbi Eisenstat of Temple B’nai Sholom was a founding contributor to the melting pot of ideas and actions that now shape IMS. Since that time, members of the Jewish community have continued as stalwart partners — always with the goal of peace and cooperation among the many faiths, races, and cultures that enrich our lives here in the Tennessee Valley. In this time of horror and grief, let us pray in the shared hope that there will be brighter days when love between us will empower us. Let us join as good neighbors and demonstrate our desire for peace and a willingness to pursue it. In light of the horrific attack and tragic murders this past Saturday at The Tree of Life Synagogue in Pittsburgh, Huntsville’s Temple B’nai Sholom invites you to participate in a 30 minute prayer vigil this Friday at 6:00pm, to be held outside on the steps of our Sanctuary (weather permitting), located at the corner of Lincoln Street SE and Clinton Ave East, at 103 Lincoln Street SE in Huntsville, AL 35801. We will gather to read the names of those murdered, honor their lives and memories, and offer prayers of healing for their loved ones and the wounded. Please join our local Jewish community as an expression of solidarity with our multi-faith allies, partners, and neighbors. Local law enforcement has been notified, and uniformed off-duty police officers will also be present. If possible, please bring a candle (and a lighter or matches) for the candlelight vigil. And feel free to stay and visit our 7:00pm Shabbat Service in the Sanctuary!